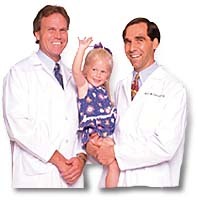 Our staff is specially trained in pediatric and neonatal care and understand the unique needs of children. Unlike other home care companies, our staff is comprised entirely of pediatric or neonatal trained professionals, so you will never have an adult nurse attempting to care for a child! Building Blocks provides a one-call approach to pediatric home care. We offer a total package of clinical programs and services including pediatric nursing, home infusion, medical equipment, and much more. This enables physicians and case managers to spend less effort finding and tracking services from different home care providers and, most importantly, provides continuity of patient care. Building Blocks currently operates in Southern and Northern California. However, we continue to expand our service area and may be in your neighborhood soon. Building Blocks has received the highest quality rating by the Joint Commission for the Accreditation of Healthcare Organizations (JCAHO) and was recently accredited with with Commendation (1999-2001).